Happy Friday, y’all! If you saw my recent post about my struggle with PPD, then you read where I mentioned why I think it’s important that we do little things for ourselves. Regardless of what our role is in this life, it can be chaotic and stressful. I’m making a point to remember to do at least one thing a day that brings me joy or makes me feel beautiful. If that means I put on makeup or fix my hair, put on a pretty dress for date night, or manage to sneak in a long, quiet shower…it’s about finding joy in the simplest things and doing something for myself. 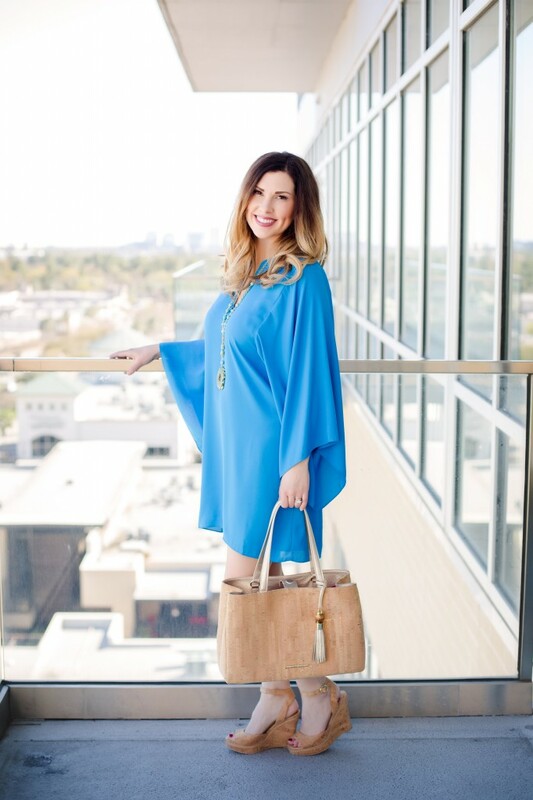 I’ve always loved fashion and have enjoyed bringing together pieces that are fun and stylish. 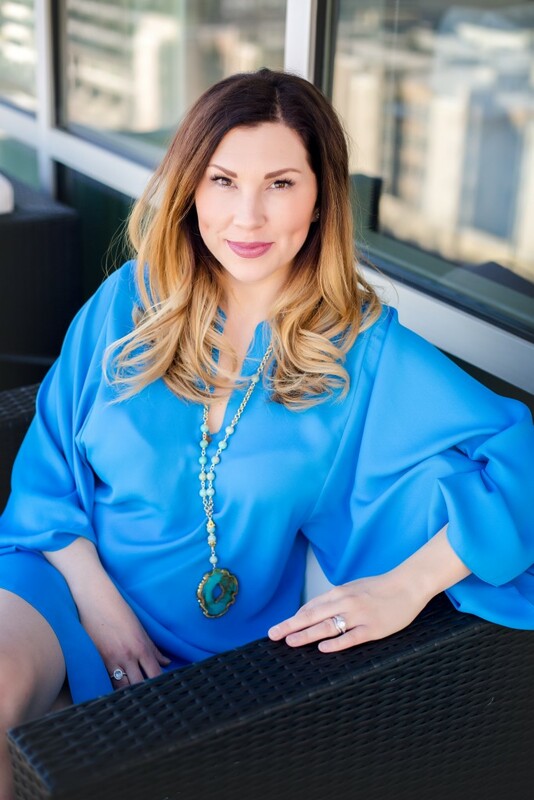 My heart behind sharing some of my mama style is that it may inspire other women and moms to take time for themselves to do those little things, too. So I’m starting with a fun, flirty look that I’m seriously OBSESSED with! I’m typically a black and white kind of girl unless you give me something this gorgeous and bright! I had an opportunity to go visit with some of my closest friends and attend a blog conference in Houston last month. It was a week of girl time that was much needed and glorious! I had my first photo shoot alongside my sweet friend, Jaclyn, from Beauty and the Binky. We got to visit with the ladies at Elaine Turner and had such a blast! Everything they have in their store right now is beautiful, this look included! I put this Lainey shift dress on and was basically ready to hop on a plane with my hubby and go somewhere tropical. All I was missing was him, our boys, and a pina colada! 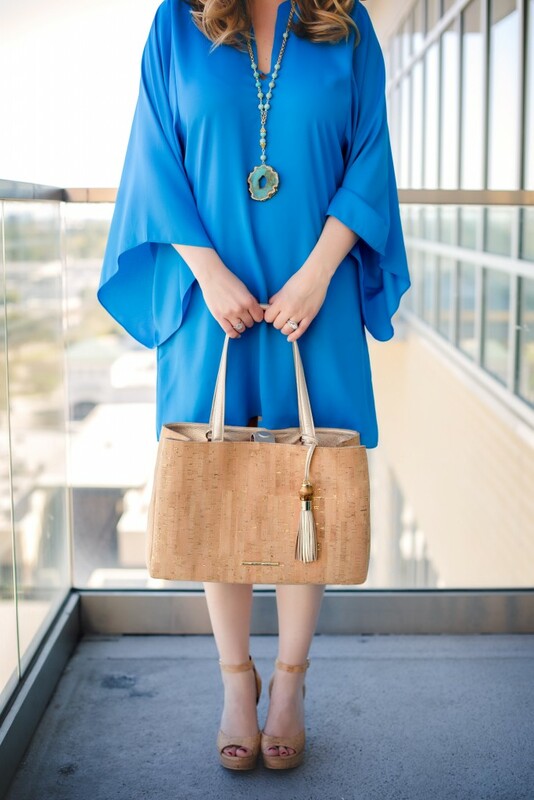 This bold shift dress is the prettiest turquoise and the most comfortable thing I put on that day. I was equally obsessed with the cork handbag and wedges. Not to mention, this amazing necklace that just completed the look and could be worn with so many different things. I’m so excited to be adding this category to my blog and hope it inspires you to do something special for yourself. c/o: Elaine Turner | Photography: Katie HillShop similar looks below. STOP BEING SO DANG GORGEOUS! That is all. This dress is amazing on you! Thank you, sweet friend! You’re too sweet! I LOVE the dress! It’s amazing! Girl, you crack me up! I love you, too! :) Thank you! Such sweet words! So gorgeous! Love your face and your heart! Beautiful! I love it all! So glad you are going to be talking style/fashion on your blog. Dress for the day you want to have! You my friend are beautiful! Love this color on you! Love this look. Something about this shade of blue screams boy mom to me. I love it. I have to agree with you. It’s so important for women to focus on something that makes them happy. We’re always so busy meeting everyone else’s needs that we forget out own. 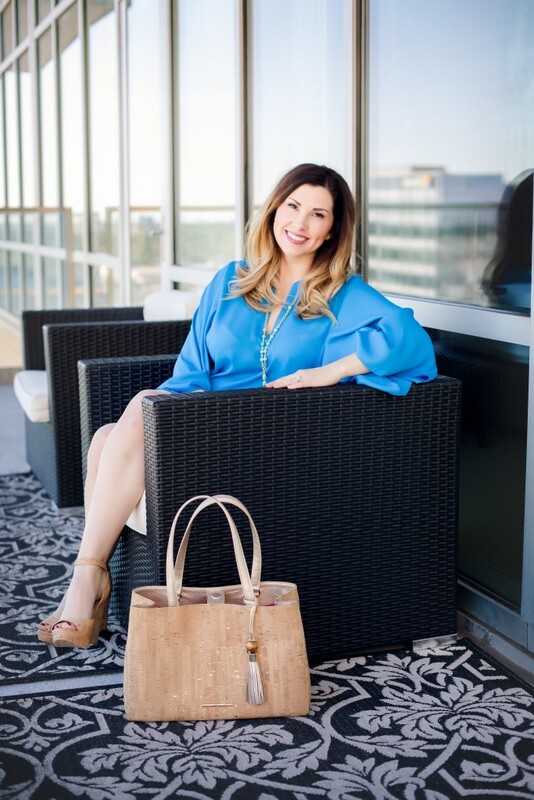 Another plus is that blogging about fashion a bit keeps you on top of the trends, and it really motivates me to get dressed in “real” clothes every day – not just workout clothes and a ponytail!! Can’t wait to see what you have in store. Yes! You’re so right, girl! Thanks, friend! :) I’m excited! You look amazing! That is a stunning color on you! Thank you so much! :) I love anything blue! Love this color on you! 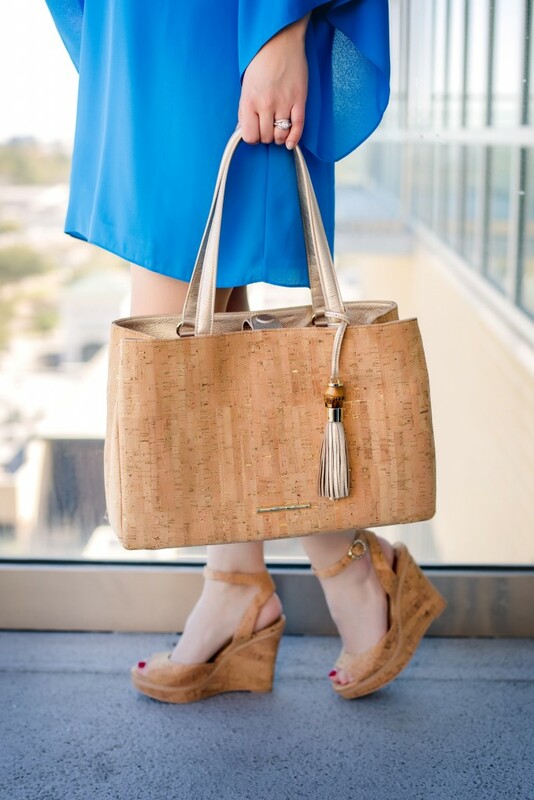 And that cork bag…swoon!! Thanks, friend!! Isn’t it amazing! I’m obsessed with this bag and shoes! This color and dress on you look amazing! Just found your blog, and as a new mama I totally get that we a)need time for us and b)can and should feel great when we get dressed! Thank you! Congrats on becoming a new mama! It’s the best thing in the world! Yes! We definitely do! :) Thanks for reading!